This beautiful Silver 'My Angel' Plaque Charm is a fabulous new addition to the popular Stainless Steel composable collection, and features Sterling Silver detail. 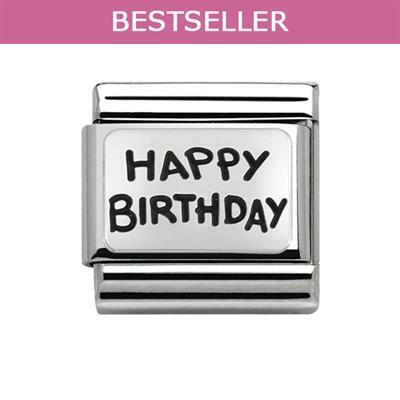 This classic charm, featuring the words 'Happy Birthday' engraved on silver plate, is the perfect charm to celebrate someone's special day. Will fit any classic sized Nomination bracelet.